Godswill Akpabio is a gifted comedian. A close observation of the man throws him up quickly as an amateur jester. A close watch of his politics would show an unending unseriousness in business. He has a temper that bites at friends and smiles at them afterwards. Politics, they say is about interest, whether national, sectional, parochial, or inordinate: it does not tolerate permanence in friendship, neither in enmity. It could be that this is why politics is said to be a “dirty” game: it bears no commitment to personals integrity. It was this factor that Godswill Akpabio deployed to actualize his “reconciliation” with many of the people he traduced when he converted his immunity in office to his impunity on purpose, when he was governor of Akwa Ibom State. He came face to face with the man who made him governor in 2007 a few days ago, the same man he assisted in removing from his ministerial office, like he did two of his former “boys”, at the same meeting a few days back: Nsima Ekere, who served him as Deputy Governor for 17 of 48 months, and Umana Okon Umana, who served as his Secretary to Government and Man Friday, the man who Akpabio’s wife, Unoma, a domestic VIP of the State government at that time, booted out of office. Time will not permit us to dwell on Atuekong Don Etiebet, Aloysius Etok, Ben Ukpong, Ita Enang and others like them. 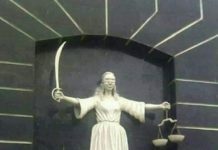 God’s will for Akwa Ibom State has been set already by God himself before the foundations of this earth was laid, and no citizen of Akwa Ibom is ignorant of this fact at this time: “EKEMINI” means “the time for God’s will to be done” in the Ibibio language. It does not need the words of a soothsayer, an amateur and arrogant one at that, to make this known as stamped and sealed by the almighty. Unfortunately for Comedian Akpabio, Senator Akpanudoedehe has already christened his campaign theme as “EKEMINI” weeks before Akpabio’s defection into the APC. 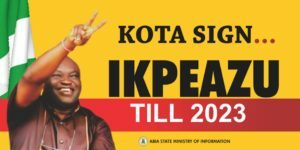 What Senator Akpabio therefore tried to do with his “reconciliation” moves, was to key into this campaign theme of his political godfather – Senator John James Akpanudoedehe, a dynast of the Etukudo Ekpro political dynasty, which dynasty made Victor Attah governor of our State in 1999. Senator Akpanudoedehe, the later torchbearer of that dynasty when Etukudo Ekpro passed on, delivered Godswill Akpabio as governor against the power of Governor Attah’s incumbency power in 2007 – “AMEM?” There are people who have paid their political dues in the State. They are those who can call out to political long suffering and are well tested politically. No matter what interest they pursue, they always have it behind their minds that one interest is the most relevant: “thy (God’s) will be done on earth as it is in heaven”. 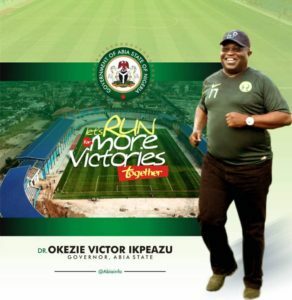 It was for this interest that in 2015 Senator Akpanudoedehe walked out of the Uyo Township Stadium, walking away from those who betrayed him, men who were compromised by an aspirant who won the governorship ticket of the APC in 2015 after joining the party 2 weeks before the party governorship primaries. Any party structure which dwells on pecuniary opportunism falls to devious debauchery. We all thank God that Jesus Christ left a condition for Christian forgiveness, and we are under obligation to forgive those who offend us limitlessly. Our divine mandate to forgive has to go through a milling process 70 times 70 times – a mystery I will attempt to resolve mathematically. We must not mistake this mystery to mean forgiveness is 490 times daily – the requirement for Christian forgiveness ration on daily basis exceeds that number by definition. 7 is a spiritual completion and 10 an Aritcompletion: 10 times 7 times gives 4900 times completion, and when this is multiplied 70 times double, it comes to infinity. On that Friday, when Senator Akpabio met Senator Akpanudoedehe in his “Chapel Villa” home in Afaha Offot, Uyo; for that very day, Senator Akpanudoedehe still had 4890 times more he needed, to forgive Senator Akpabio for infractions he committed against him, even when the infinity is not accepted as a measure of Jesus forgiveness ration. Senator Akpanudoedehe was obligated by God to dish out forgiveness to Senator Akpabio. So when forgiveness becomes complete both physically and spiritually, it means the marriage of the divine and the natural. From here stems the God-man nature. Here is where Senator John James Akpanudoedehe is, morally and spiritually, shoulder higher than any politician in Akwa Ibom State today. He was satisfied with serving a term in the 4th Senate from 1999 to 2003. 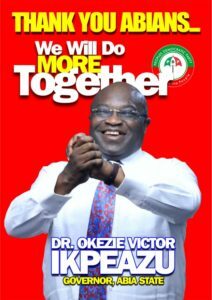 He stayed out of political office contestation until he, as Director General of the Akpabio/Ekpo-otu campaign organization, delivered the electoral victory and the emergence of the Akpabio administration in Akwa Ibom State in 2007. 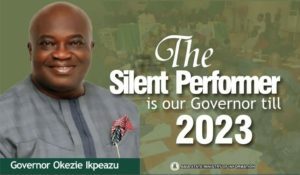 Like the Machiavellian student that he is, Godswill Akpabio tilted the ladder that he used in climbing to his gubernatorial height, depreciating his gratitude to Senator Akpanudodehe who made it possible. 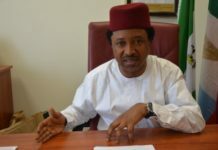 As a mark of honour for his good job, Senator Akpaudoedehe, by the magnanimity of President Umar Musa Yar’adua, was appointed Minister of the Federal Capital Territory (Area Councils). 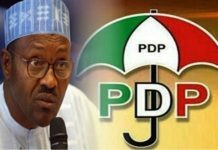 That he did not go through the 4 years tenure the office enjoys, as it would normally be expected of a member of the Federal Executive Council in Nigeria, is another issue about Senator Akpabio’s political incontinence. This was because Godswill Akpabio became uncomfortable with Senator Akpanudoedehe’s closeness to the presidency, and when Yar’adua became indisposed, Akpabio used the cabal that existed at that time to lobby out Senator Akpaudoedehe from office, tagging him the leader of the “Abuja Front”. Senator Akpabio later, during the regime of Goodluck Jonathan hovered around both as the leader of the “home front” and as well as that of “Abuja front”. We all wondered why he had problems with the leadership of the ” Abuja front”. Now we know he coveted the leadership of both the “home front” and the “Abuja front”. Again Akpanudodehe stayed out of office contestation, defecting from the Peoples Democratic Party to the Action Congress of Nigeria. He left the PDP for Akpabio because the party could not contain the 2 of them. 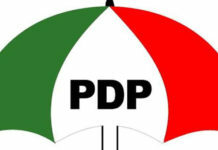 It must be noted that the building of the PDP in Akwa Ibom State had 3 strong hands in it: John Akpanudodehe, Etukudo Ekpro (late) and Benjamin Enobong Okoko (erstwhile National Publicity Secretary of the PDP). The older men, Anietie Okon, Victor Attah, Ufot Ekaette, Ime Okopido, all joined in later after the young men had consolidated their hold on the party in the State. If the history of Senator Akpabio’s political relevance is exhumed, one would discover how obscure he was in 1999. At that time, when Senator Akpanudoedehe was a Senator of the federal republic, Godswill Akpabio was Chairman of the Local Government Service Commission in the State. He paid service obeisance to people like Emmanuel Obot, who was as at then Governor Attah’s Personal Assistant. He extracted goodwill through craftiness. He was the political love bird of those who promoted him: Senator Akpanudoedehe, Ufot Ekaette, Sam Edem, and Akpan Isemin. All of who fell flat as the first victims of Akpabio’s political machinations in Akwa Ibom State. Senator Akpabio did not defect to the APC willingly, unfortunately for him, he is the Godswill that has lost political flavour in our State. One thing that will elude him this time is that he has come to a place where “what money cannot do, (even) more money can(not) do”. 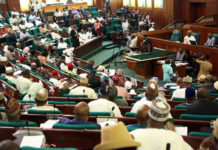 Senator Akpanudoedehe prohibits “money politics” in his political ideology and he is standing by in the APC to ensure political decency in the party’s operations. He is the kind of politician who preaches “he that hungers and thirsts after righteousness (for his name sake) shall be filled”. He teaches political perseverance and long suffering. 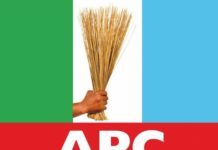 As the September 24 2018 date for the APC governorship primaries draws near, what would define Senator Akpanudoedehe’s gubernatorial flag bearing for the APC, against his major opponent, Nsima Ekere are: 1. When Akpanudoedehe sought the governorship seat of Akwa Ibom State, Nsima Ekere sought the office of Deputy Governor. As per political ranking, the winner here is clear. Now what is the moral justification of Nsima Ekere for aspiring to contesting against Senator Akpanudoedehe as governorship candidate of the APC, when he was a part of the funders of the killing and maiming of opposition figures during the 2011 electoral campaign season? It should not be forgotten that it was this same Senator Akpanudoedehe that sustained opposition politics, tasted the baptism of fire from the ruling party, and almost died in the process. What have been the sacrifices of Nsima Ekere in the politics of Akwa Ibom State so far? They are all lucky goons who are always “AGIP” appointees (appointees of “any government in power”). 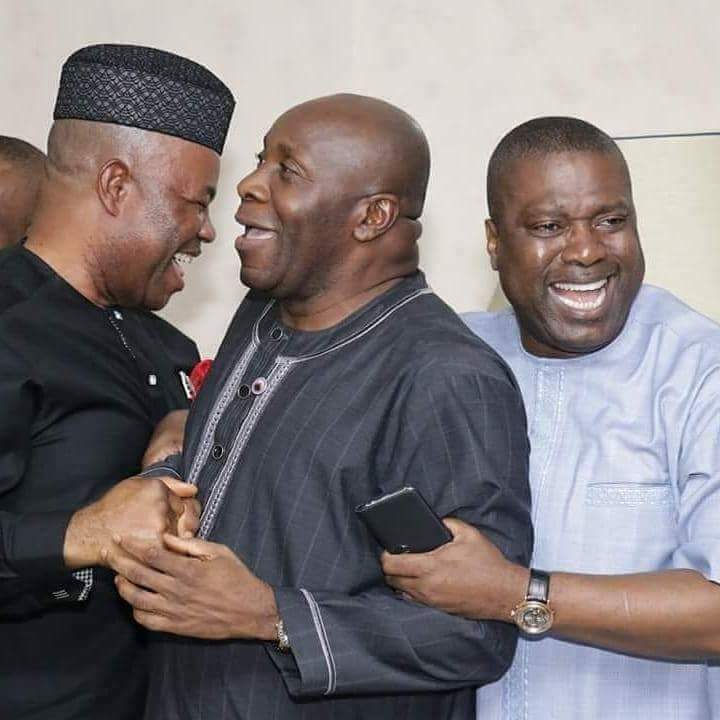 In the face of Akpanudoedehe’s struggles to sustain the opposition struggles in the State, Nsima Ekere finished failing from his governorship protest with the PDP under the ” G22 Forum”, before defected to the APC to clinch the office of the Managing Director of the NDDC, and this with Akpanudoedehe watching from the sidelines. Who is wondering at all these? Why are these people ready to reap from where they have sowed nothing to the political struggles for good governance – only able to showcase bad money and social vices for electoral success? Why would people clearly indicate an aspiration to “serve”, yet are oblivious of their robbing genuine sowers of their harvests? This is why these PDP men cannot be trusted. To conclude on this piece, it has been revealed above how Senator Akpanudoedehe has stayed away from office contestation for over 10 years, walking in the political wilderness of this country, and those who benevolent gods have continually crack their kernel nuts for them think Akwa Ibom State belong to them and so can take the State by force need to deal with God’s will this time. These are the same people who will instigate the loss of the APC in the State come 2019 if they do not tamper their aspirations with good reasoning. This is time to reward selfless hard work. Akwa Ibom State is tired of political opportunism. Let them stay away form political office contestation for just 2 years and see if they would have any following remaining. At least, we have seen it from the Akpabio treatment that he could only pool 2 state commissioners and 2 state constituency lawmakers. His political clout was therefore an erroneous exaggeration indeed. So Senator Akpabio should keep his political rhetorics to himself before he mistakes God’s clear will in “EKEMINI” by attempting to define his mission in the APC by that literal coinage. If his rhetorics are his veiled concession of his support for the “EKEMINI” vision, that concession is welcome and that is all that would be needed from him so long. Now that he is in the APC, all that the “EKIMINI” mandate would require from him is the “caging” of the “boys” he unleased on the opposition base of Akwa Ibom State, lest they attempt to embarrass his political godfather, who is clearly the point man and target of his reconciliation moves. There is indeed a Godswill (an aberration of divine nature) and there is God’s will (the divine nature). This must be made clear.